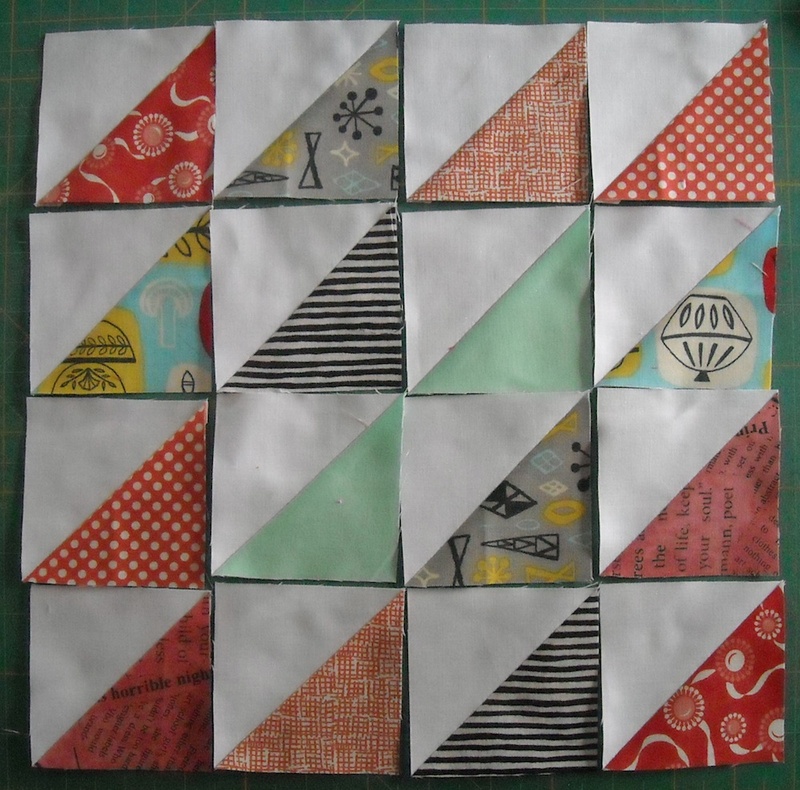 More blocks today! 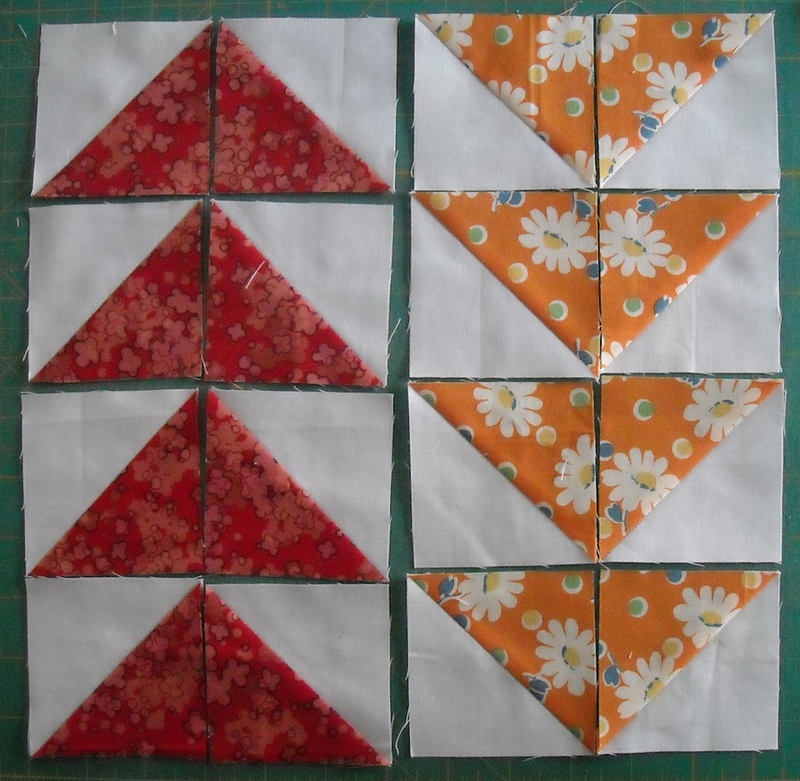 Time for Block 7 . . .
Sew them together into pairs, pressing seams in opposite directions. 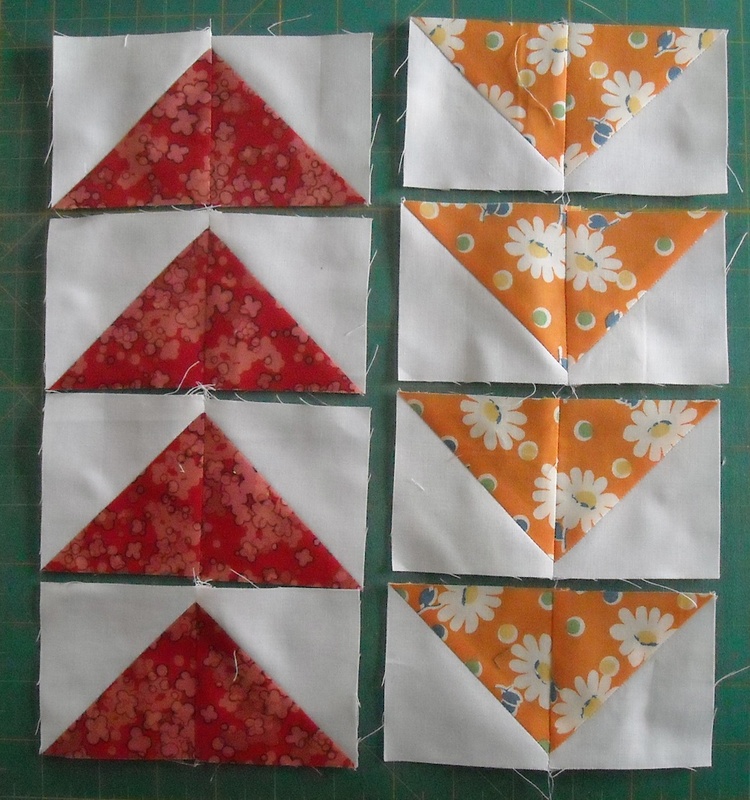 Sew the pairs into columns. Press the seams toward the darker fabric. 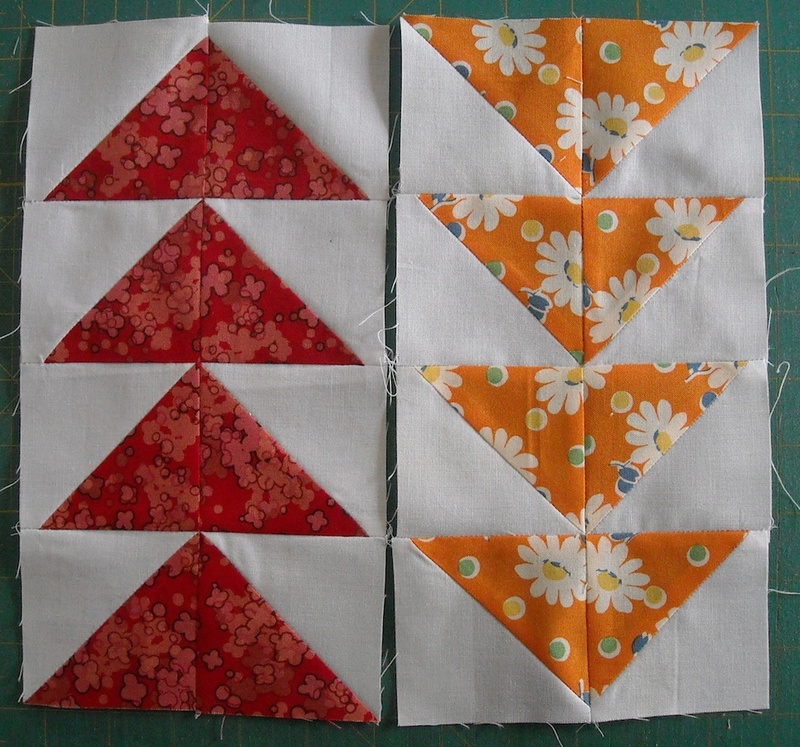 Sew the two columns together, and you’re all done! NOTE: If you choose an arrangement that is different from the original one, pay close attention to pressing your seams. You may need to press them differently than suggested. As long as you press them in opposite directions, you should be all right. This will reduce the bulk at the seam intersections. 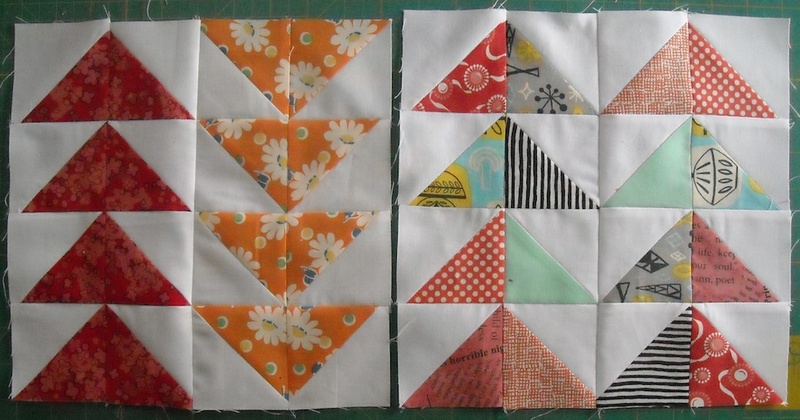 You may notice that my second block has a lot of variety in the fabrics. Since we made these units using Tutorial #3, you should have 8 of each type of unit in your baggie. 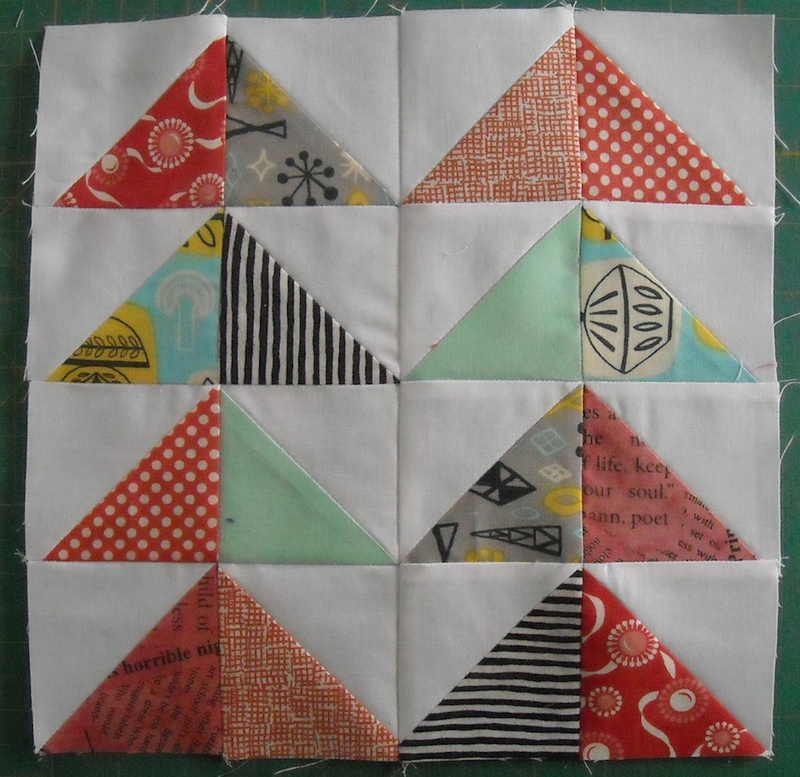 That would make your blocks naturally look more like my first block, using mostly the same fabrics. 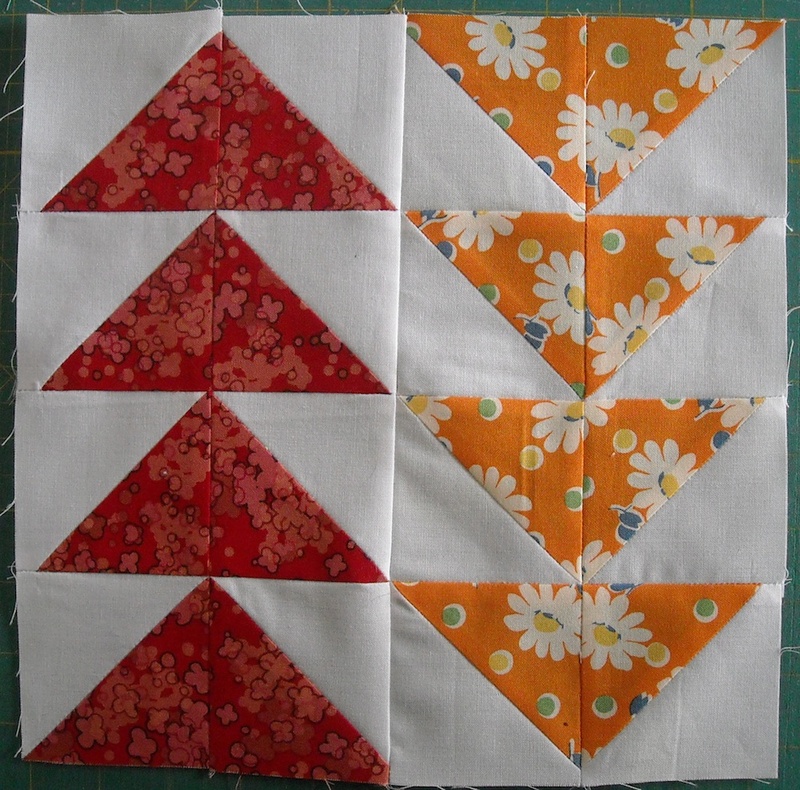 While messing around with all the tutorials and instructions for this quilt, I ended up making lots of extra units, so that gave me more variety than just following the tutorial normally would. So, if you want more variety in your units, too, feel free to make some more to give yourself that option. It’s completely up to you! Label these with your Block 7 label, and I’ll see you right back here on Wednesday for Block 8!